You look at it and just think of how much effort it’s going to take to call that many people, how you don't like asking people for stuff because it feels so gross and salesy. And what if they all say no? Then it’s all for nothing. I used to be just like this. I'm super reserved when it comes to meeting new people, and used to avoid making fundraising calls at all cost. Like I would happily reorganize Alltheboxes and Allthethings instead. I found myself so terrified of picking up the phone and making calls that I put it off for daaaays. Sometimes weeks. The thing is, when you finally manage to pick up the phone (mostly out of self- frustration) it feels great to finally be able to push through the fear. The problem- you have to start from scratch the next day. And the fear, self doubt, and frustration were right there waiting for you. Insert vicious cycle here. This was not working for me. I had to think of a way to break this down to something super non-terrifying, while still doing the work. Enter the idea of breaking things into small chunks and adding the principle of compounding. Now, this idea is normally tossed around a lot in investing worlds by people who’re trying to knock some sense into my generation so that we start saving money on retirement instead of spending it all in Vegas. It basically says that even a small amount of money, if invested and continuously reinvested the interest earned, will grow much faster than if you regularly took that extra earned interest out. Now, before you click off this page as a lone boredom tear starts to roll down your face, hear me out. This same thing can be applied to fundraising. Let's go back to that call list that reminds you of the the Monster Book of Monsters (Harry Potter, anyone?). Instead of looking at the whole list of names, just say, every day I'm going to make 3 calls. That's it. Just 3 people. If you do that every (Work)day for a month, that's 60 calls in a month. That's sooo much better than zero! Now, you might be thinking, that's not exactly doubling, that's still 60. You start with those 3 calls, and after a week, you're a little more confident, and since you’ve developed the habit it’s a bit easier to pick up the phone and set those potential sponsor meetings. So 3 calls a day turns to 5 calls a day. 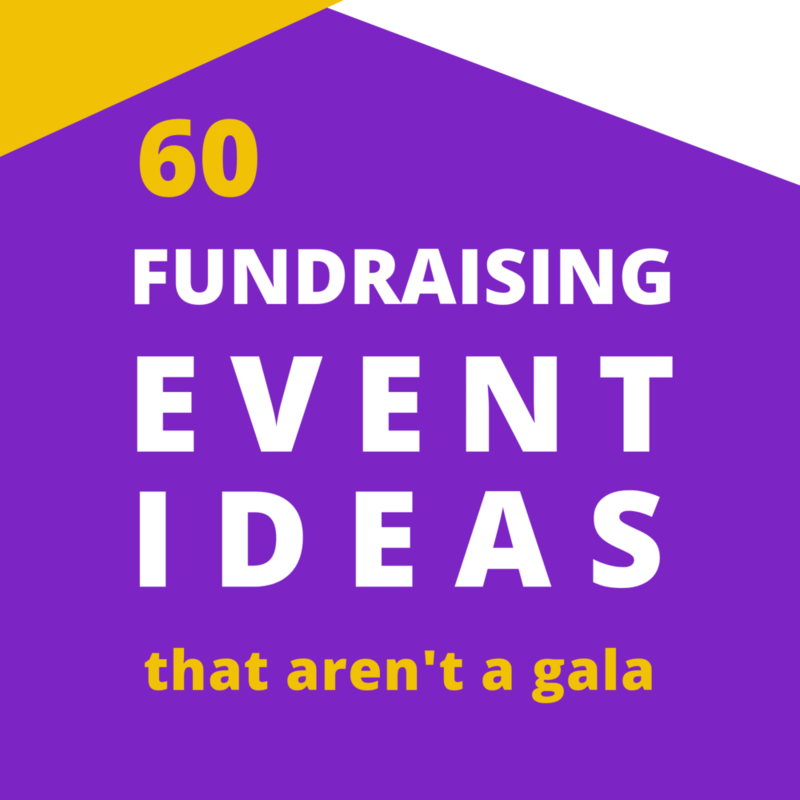 Now 5 calls a day for a month is 100 opportunities you’ve created to connect like-minded people to your fundraising event. Maybe that gets comfortable too and you add a few more, or maybe that's a good number for you and that's where you stay. Either way, that's 100 people a month that you're reaching out to. Now if 10% of those calls turn out to be interested in what you do and want to help, out of those ten, let's say half are ready to help right now. That's 5 people a month that are interested in your cause and want to help move the mission forward. Here's where things get interesting with the principle of compounding. Remember that those 5 new people have entire networks of their own. And if you’ve done your research in creating your list to really find people who might connect with your mission, chances are that those 5 new people have tons of family, friends, and professional connections that share those same values. Pretty soon they start sharing your mission in their own tribes and people start coming to you! 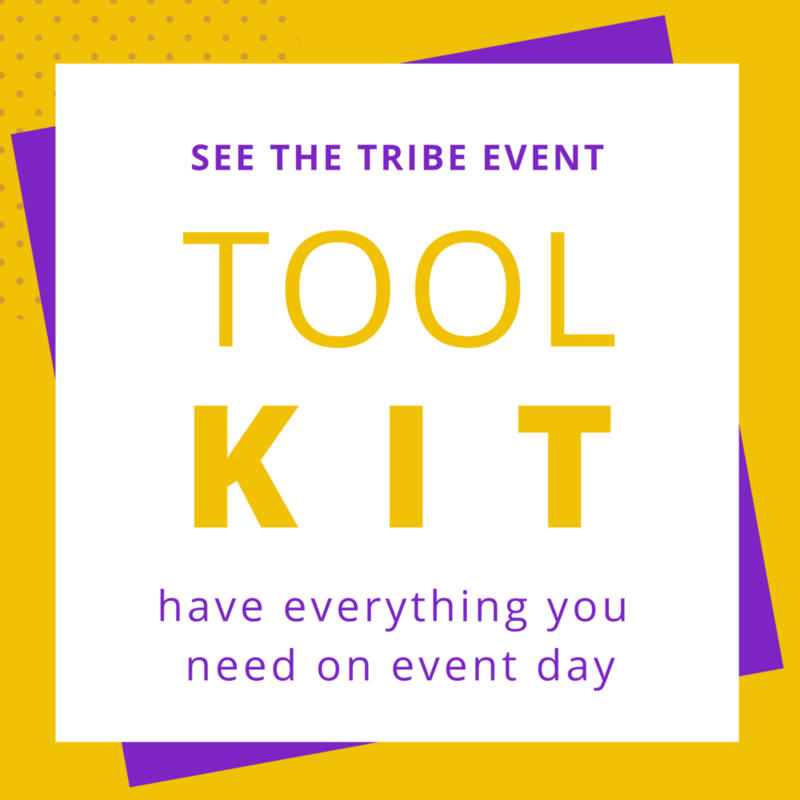 This means that you can make a more direct impact on more people, while doing much less work to find the right people for your tribe. It’s much easier to maintain a good relationship than to try to uncover a new one. 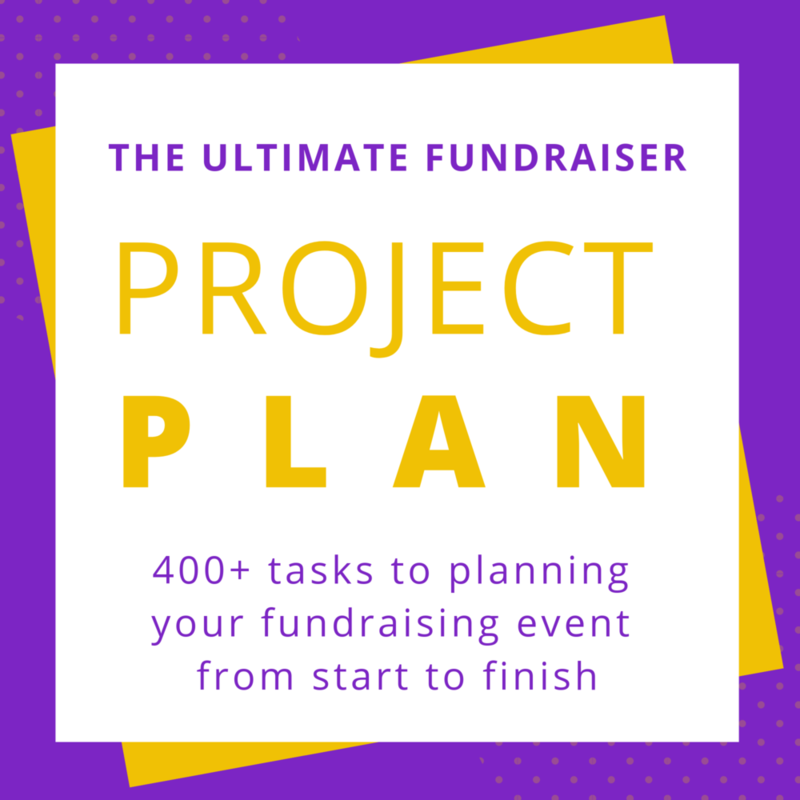 So many people miss this step, but it’s so crucial to successful fundraising events, and anything else you want to achieve in life. While yes, asking for donations starts out as a numbers game, but it’s important to remember that at the end of the day, we are all human and what we crave most is community and connection. The real game changer for any project you’re trying to get off the ground is to transition so that you can create a real tribe of folks who love what you do, want to be a part of the difference you are trying to make, and want to bring all their friends along for the ride too. 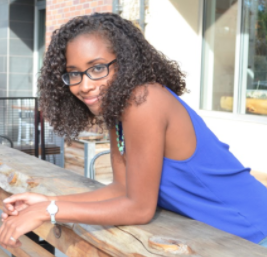 Those are the two strategies that I used to move myself past my fear of fundraising, into taking action, and growing my efforts to quickly build real relationships that have resulted in multiple six figure events. 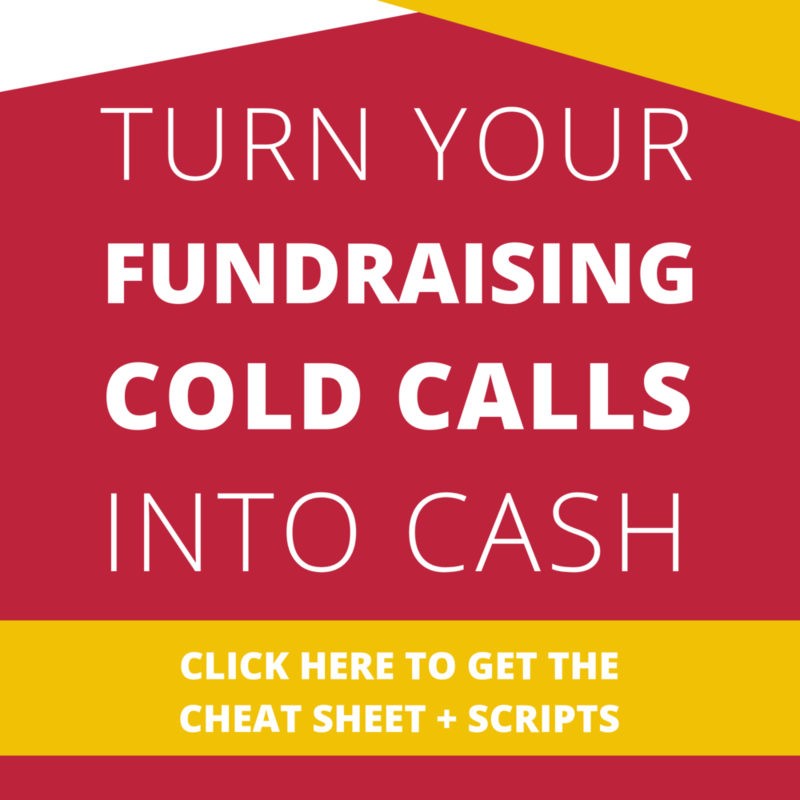 In fact, I still use these principles to help my clients today achieve their fundraising goals. 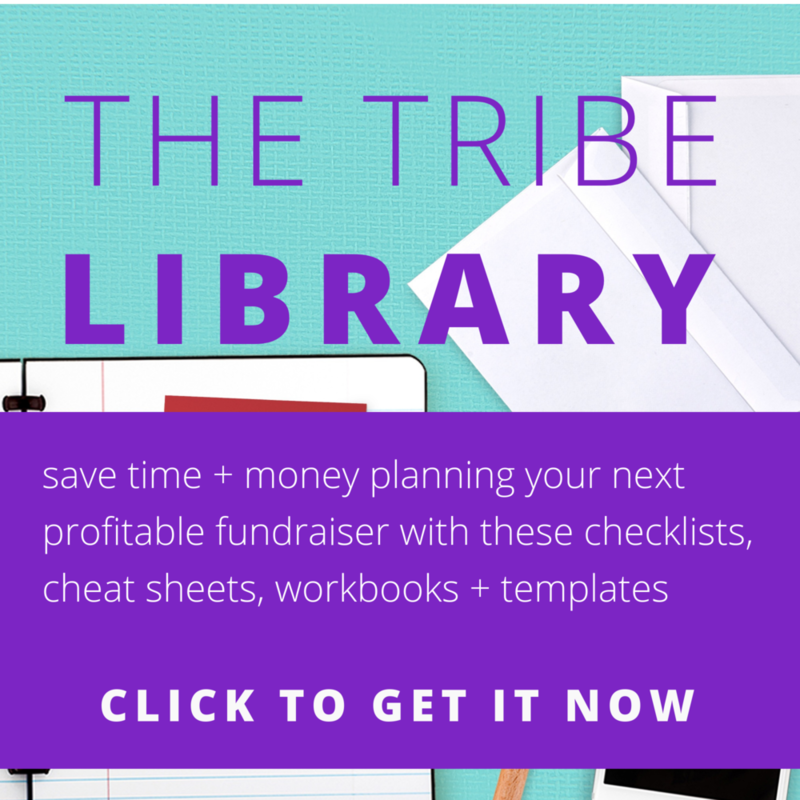 Ready to take your fundraising asks to the next level? 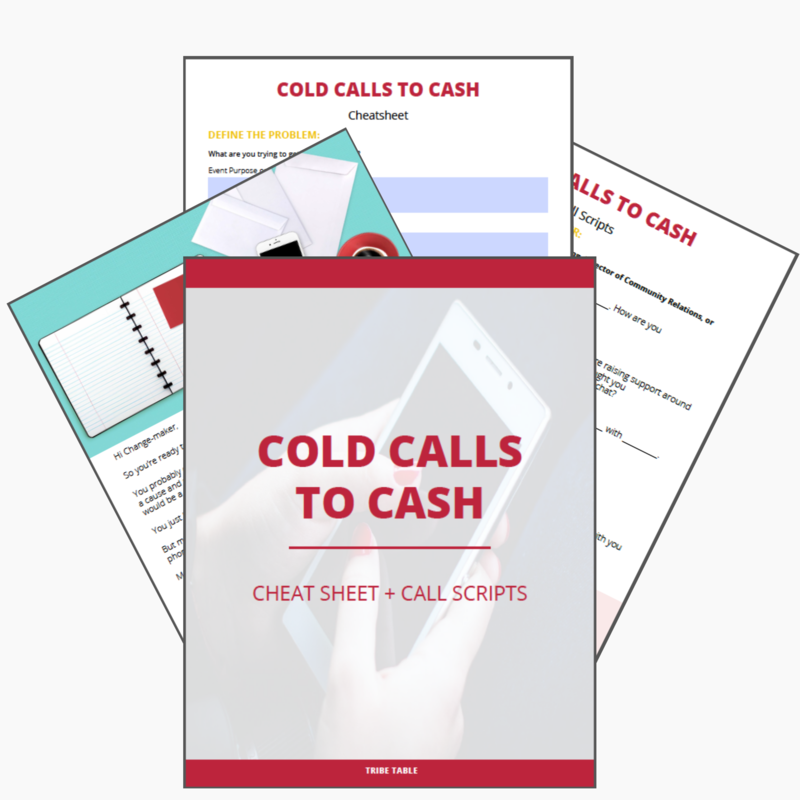 Be sure to grab the cheatsheet to make cold calls that turn to Yes! grab the FREE cheat sheet + customizable scripts today! What are some of the ways that you move past the fear of getting started? How do you keep yourself on track to help your mission move forward? I’d love to hear all about your strategies in the comments below!